Welcome to our website. 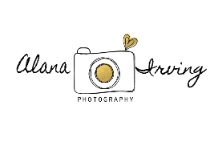 Alana Irving Photography specializes in custom portraiture of maternity, newborn, children, families, couples and high school seniors. We are located in Stockbridge, Ga. and we travel all over the Greater Atlanta area. Our clients appreciate high end portraiture and canvas wall art. If you are looking for a new photography experience or you are used to premier photography experience give us a call. We would love to help you capture your precious memories.